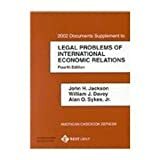 By William J. Davey, John H. Jackson and Alan O. Sykes, Jr.
9780314280268 | 6 edition (West Academic, March 30, 2014), cover price $220.00 | About this edition: This book focuses on the rules-based multilateral trading system established by the World Trade Organization, with particular emphasis given to the rich and detailed jurisprudence developed by the WTO's Appellate Body. Product Description: This Documents Supplement contains the basic international agreements on trade in goods and services and the principal U.S. statutes regulating international trade, as well as NAFTA and the Articles of Agreement of the International Monetary Fund. 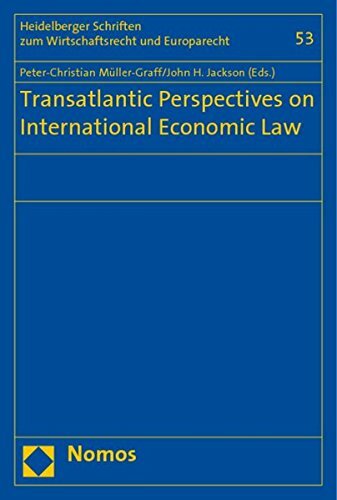 9780314287649 | 6 sup edition (West Academic, June 10, 2013), cover price $82.00 | About this edition: This Documents Supplement contains the basic international agreements on trade in goods and services and the principal U. 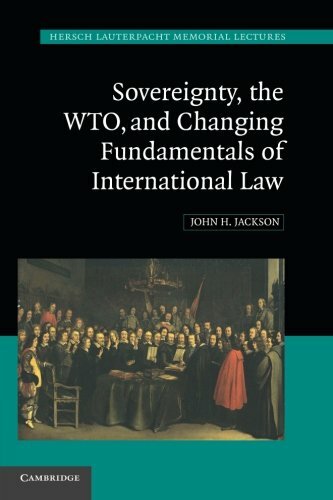 9780521860079 | Cambridge Univ Pr, April 30, 2006, cover price $149.99 | About this edition: The last decade of the twentieth century and the first decade of the twenty-first century has been one of the most challenging periods for the generally accepted assumptions of international law. 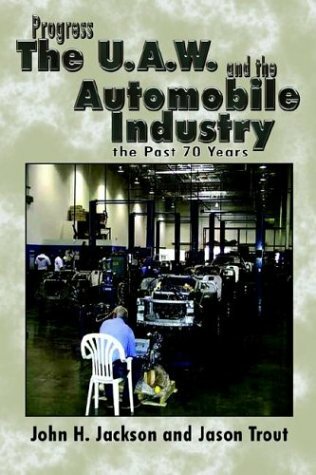 9780521748414 | 1 edition (Cambridge Univ Pr, April 27, 2009), cover price $59.99 | About this edition: The last decade of the twentieth century and the first decade of the twenty-first century has been one of the most challenging periods for the generally accepted assumptions of international law. 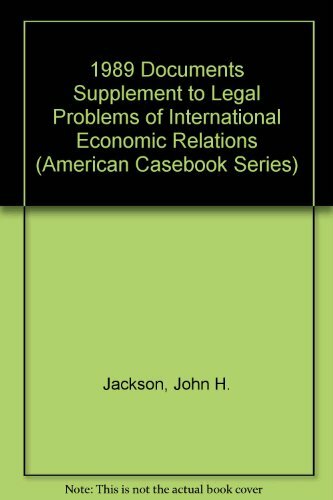 9780314160331 | 1 edition (West Academic, August 25, 2008), cover price $119.00 | About this edition: This Documents Supplement contains the basic international agreements on trade in goods and services and the principal U. 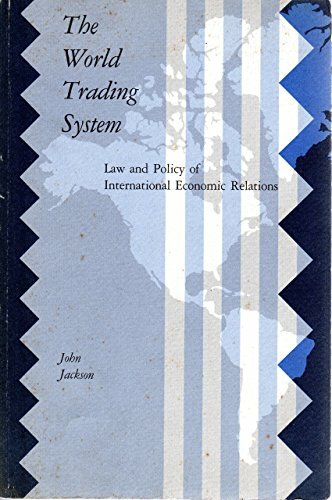 9780314160263 | 5th edition (West Academic, July 9, 2008), cover price $205.00 | About this edition: Focuses on the rules-based multilateral trading system created by GATT, as greatly expanded and elaborated by the establishment of the World Trade Organization in 1995. 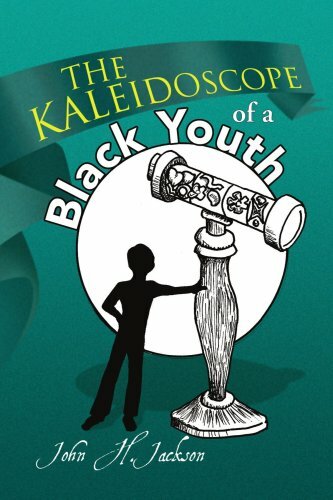 9781436307000 | Xlibris Corp, July 1, 2008, cover price $24.99 | About this edition: Things and acts seem to come and go in color in Henry's life, as though he were looking through a tube-like kaleidoscope. 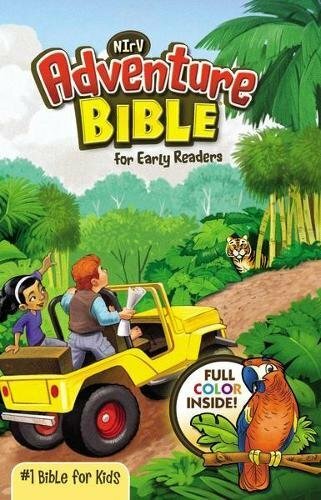 9781436306997 | Xlibris Corp, July 1, 2008, cover price $15.99 | About this edition: Things and acts seem to come and go in color in Henry's life, as though he were looking through a tube-like kaleidoscope. 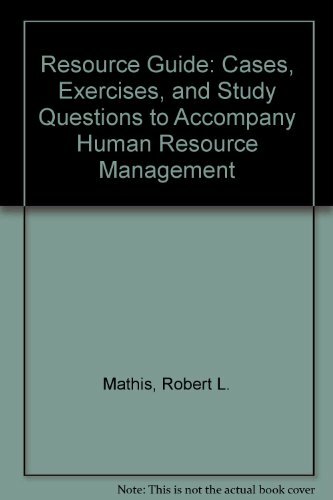 9780324542752 | 12 pck har edition (South-Western Pub, September 15, 2007), cover price $323.95 | About this edition: Take the most current look at human resource management and its impact on the success of organizations today with the latest edition of HUMAN RESOURCE MANAGEMENT from Mathis/Jackson. 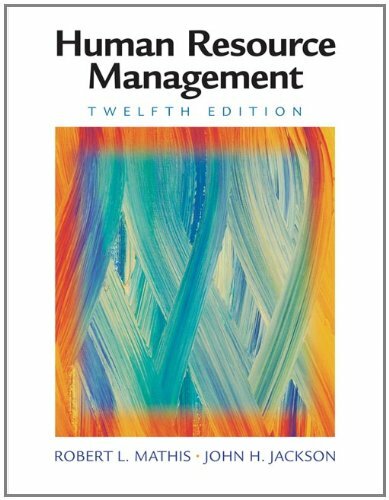 9780324317046 | 2 edition (South-Western Pub, March 1, 2006), cover price $164.95 | About this edition: Healthcare management is changing. 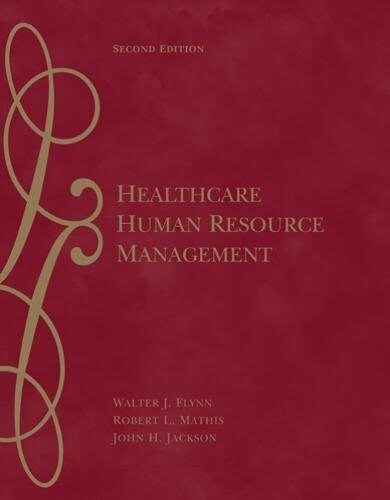 9780324175769 | South-Western Pub, April 1, 2003, cover price $142.95 | About this edition: This text provides a comprehensive human resource management foundation for those who intend to work or are working in healthcare settings. 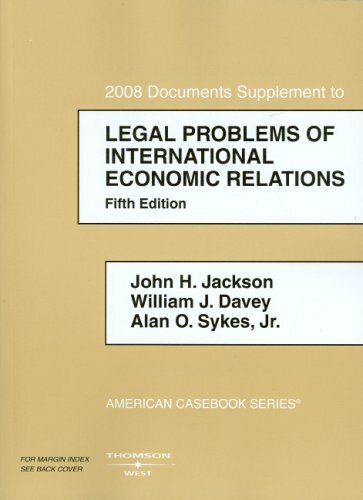 Product Description: Legal Problems of International Economic Relations 2002 Documents Supplement .... West Group, 2002. 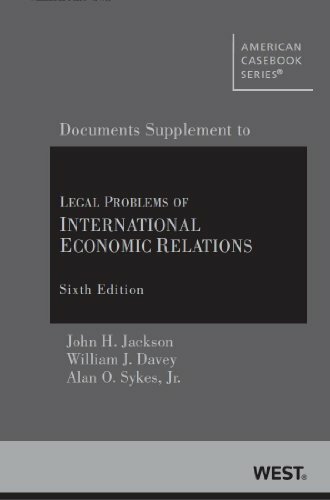 9780314246615 | 4th edition (West Academic, August 1, 2002), cover price $69.00 | About this edition: Legal Problems of International Economic Relations 2002 Documents Supplement . 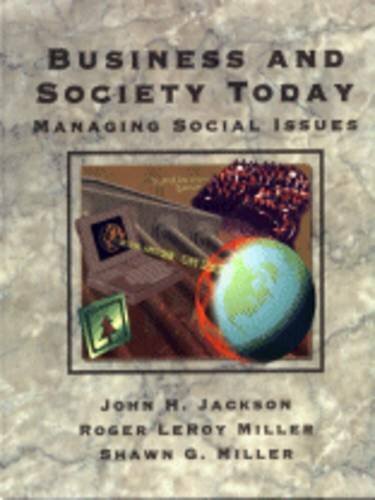 9780198262367 | Clarendon Pr, November 6, 1997, cover price $325.00 | About this edition: The importance of the issues raised by the WTO Agreement cannot be over-estimated. 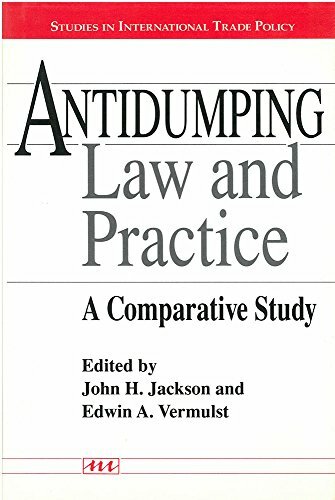 9780314210289 | South-Western Pub, January 1, 1997, cover price $54.95 | About this edition: This supplemental casebook accompanies Business and Society Today. 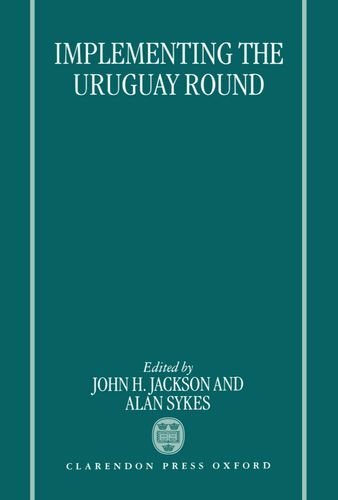 Product Description: Book by Jackson, John H.
9780538898072 | Pck edition (South-Western Pub, January 1, 1997), cover price $98.95 | About this edition: Book by Jackson, John H.
9780314207746 | 8th edition (West Group, January 1, 1997), cover price $41.95 | also contains We Are the Birds of the Coming Storm | About this edition: Market-leading text takes a pragmatic approach emphasizing the strategic role of human resources. 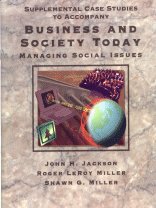 9780314203861 | West Group, November 1, 1996, cover price $103.95 | About this edition: This text provides a complete presentation of society's and government expectations placed on American businesses today. 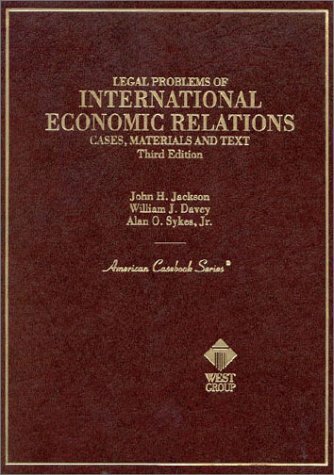 9780314046888 | 3 sub edition (West Group, May 1, 1995), cover price $93.95 | About this edition: In LEGAL PROBLEMS OF INTERNATIONAL ECONOMIC RELATIONS, THIRD EDITION, the authors aim to offer the student and professor the means to achieve a basic understanding of the international economic system as it operates in real life, and as it is constrained or aided by a number of fundamental legal institutions, including national and international constitutional documents and processes. 9780262100403 | Mit Pr, October 1, 1989, cover price $54.00 | also contains American Roots Music for Ukulele: Over 50 Great Traditional Folk Songs & Tunes! | About this edition: Explains the intricacies of the world trading system, including the GATT (General Agreement on Tariffs and Trade). 9780262600217 | Reprint edition (Mit Pr, November 1, 1992), cover price $23.00 | also contains Aesthetic Frontiers: The MacHiavellian Tradition and the Southern Imagination | About this edition: An introduction to the intricacies of the world trading system, including the GATT (General Agreement on Tariffs and Trade). 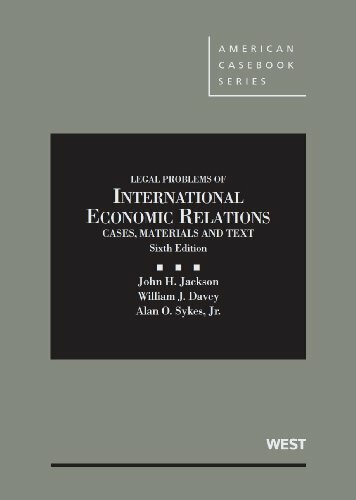 Product Description: This title was formally part of the Studies in International Trade Policy Series, now called Studies in International Economics. 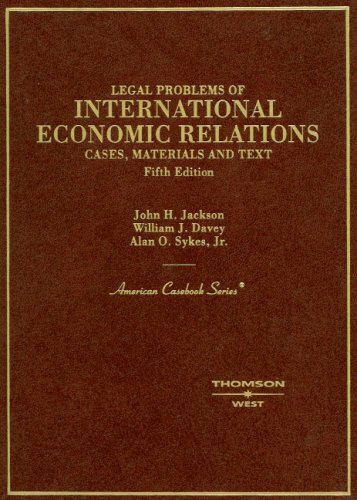 9780472101641 | Univ of Michigan Pr, January 1, 1990, cover price $110.00 | About this edition: This title was formally part of the Studies in International Trade Policy Series, now called Studies in International Economics. Product Description: This introduction to business provides an overall picture of how business operates as an institution. 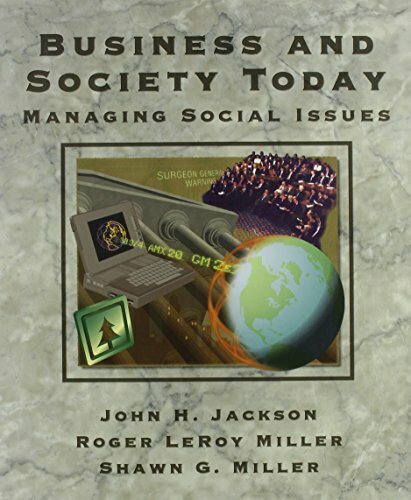 The authors explore the ways in which various departments within a business enterprise are interrelated. 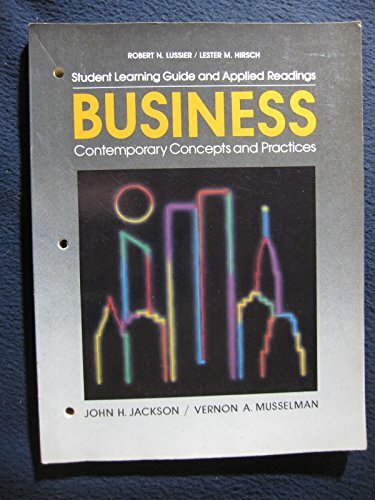 9780130914712 | Prentice Hall, June 1, 1987, cover price $20.00 | also contains How To Chop Tops | About this edition: This introduction to business provides an overall picture of how business operates as an institution.